狼 Pack. 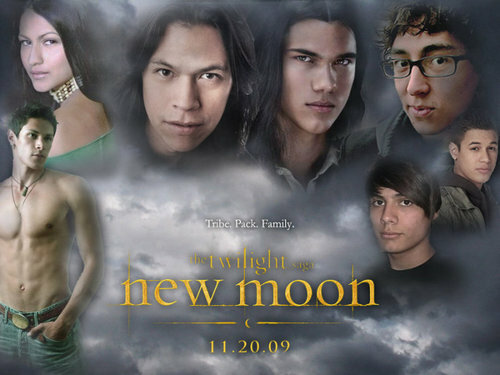 Picture of all the offical 狼人 in the pack for the New Moon movie.. HD Wallpaper and background images in the 雅各布·布莱克 club tagged: new moon wolf pack movie cast. This 雅各布·布莱克 wallpaper might contain 热水浴缸, 热水浴, 肖像, 爆头, 特写镜头, 特写, and 爆头特写.